Our global team of 1,100 executive coaches are based in over 100 countries. Our shared focus is developing highly successful leaders, using programs tailored to fit the executive’s objectives as well as those of their organizations. And all our coaches have a proven track-record successfully serving Fortune / FTSE 500 client organizations. As with all of our services, our workshops are designed to address client-specific needs including advancing organizational effectiveness and better enable achievement of targeted results. Our advanced leadership training and development processes help individual leaders and entire organizations strengthen their effectiveness. Participants are exposed to powerful concepts and provided new skills and understanding. Clients consistently rank our leadership workshops among the best professional experiences of their careers. A custom designed detailed job search strategy is developed and executives continue to supported until their job search has been successfully concluded. 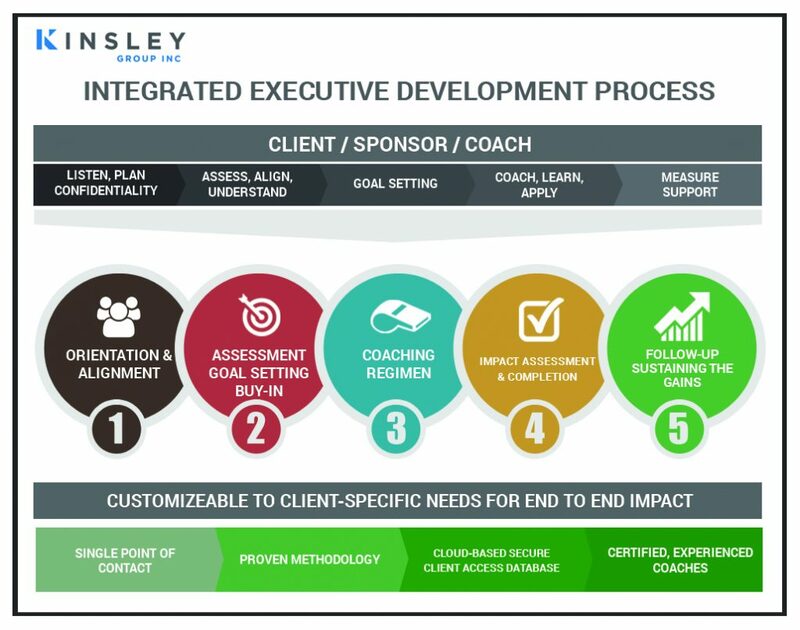 Coaching and mentoring support of the executive for a period of up to six (6) months by a Kinsley Group executive coach.